This time it’s all about the books. Rare books, valuable books, are missing from the Biblioteca Merula, the Venetian library for rare books. And some have been stripped of their illustrations and maps. It is of course a serious offense, but not unpleasant like a murder, and it is spring in Venice. On the way to investigate a possible witness to the crime, Brunetti feels a surge of goodwill. It is a lovely time of the year. The scent of flowers brings welcome memories. Unfortunately, he finds that the witness has been brutally murdered and the whole atmosphere has changed. As usual, the book is filled with family life and food. The story is more about the people and the place than the crime. I enjoy this. Commissarie Brunetti is very intelligent, a gentleman, and the relaxed pace in Venice is a welcome change from American detective stories. Although the book is one of a series, it easily stands alone and is highly recommended. 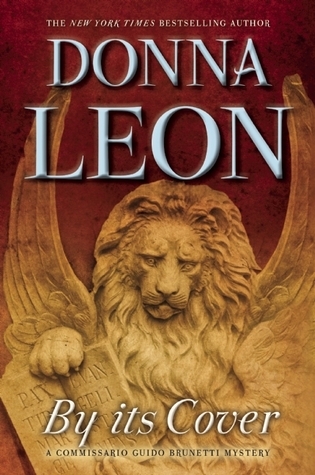 This entry was posted in adult, mystery and tagged Commissario Guido Brunetti. Bookmark the permalink.